• Radar Can Be Set for 45' or 60'6"
• Heavy Duty 16 gage steel frame with collapse hing for easy storage. 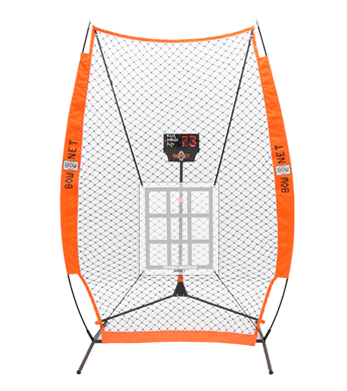 • Durable heavy duty pitching target and strike zone. • Perfect for pre-season workouts, bullpen sessions ,tryouts and FUNDRAISING. Accurately calculates pitcher’s release speed for baseball or fastpitch softball. 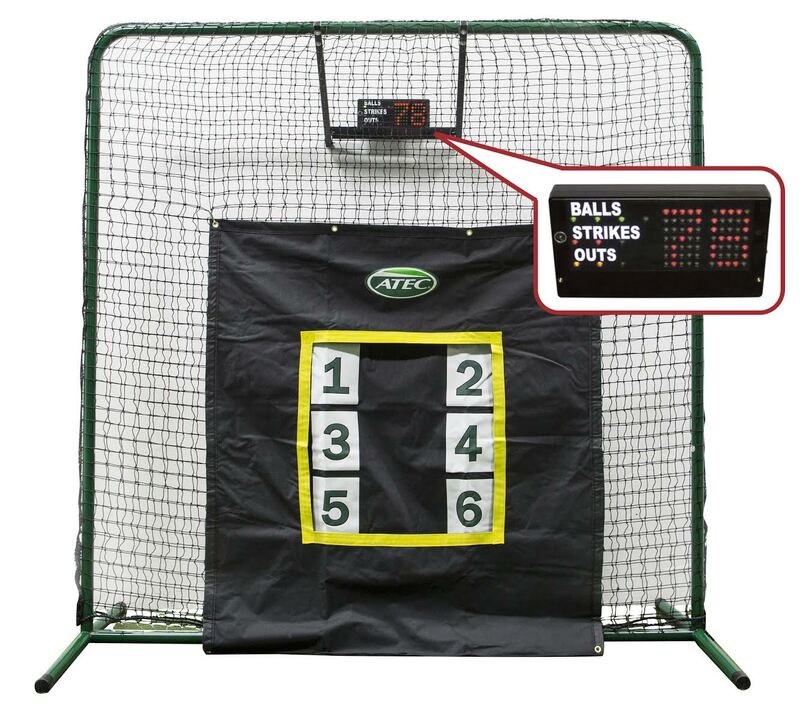 • Setting 1- accurately calculates pitcher’s release speed, keeps track of pitch count, calls balls, strikes, outs and walks (simulates a half inning). • Setting 2 - turns off speed display. Software keeps track of pitch count, cumulative strikes, balls, outs and walks. Polycarbonate strike zone required for this feature. Works with weighted training balls. 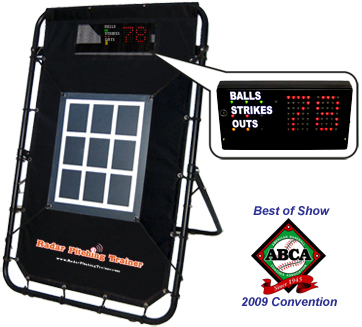 Includes a durable Atec Pro Pitcher’s Screen with drop-pocket, high quality 7 x 7 field screen, 16 gauge electronics mounting bracket. from 25 plus feet for youth baseball.